Enjoy 2 weeks guided trek to Manaslu Circuit starting from Arughat after a 6 hour drive from Kathmandu. 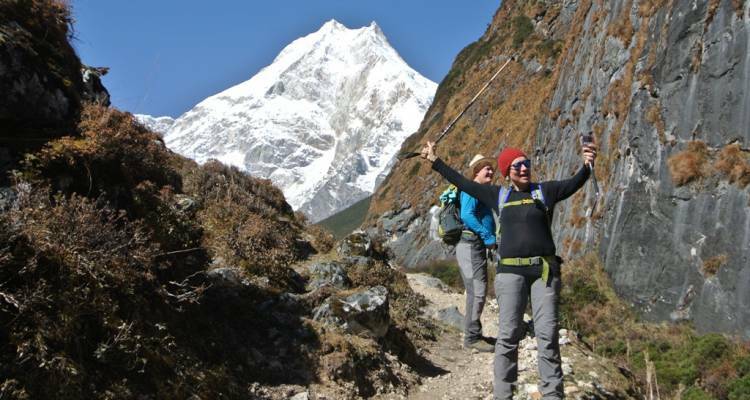 Day 01 will be your arrival day in Kathmandu; on the following day you will get final pre-trek information of the trek and our trek agency will make preparation of trek permit of Manaslu trek. You may enjoy day visit to local sites of Kathmandu at your leisure. And on day 3rd, you will start your Manaslu Trek adventure. 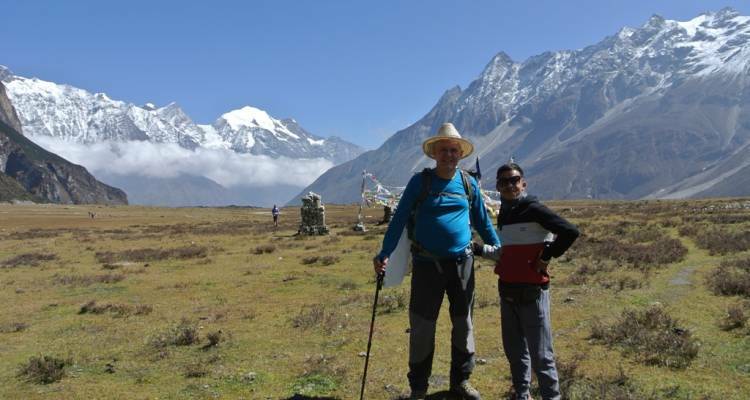 During the trek you will be looked after your experienced trek guide and support trek porter. Meals and accommodation will be provided at locally owned guest houses on the trek. 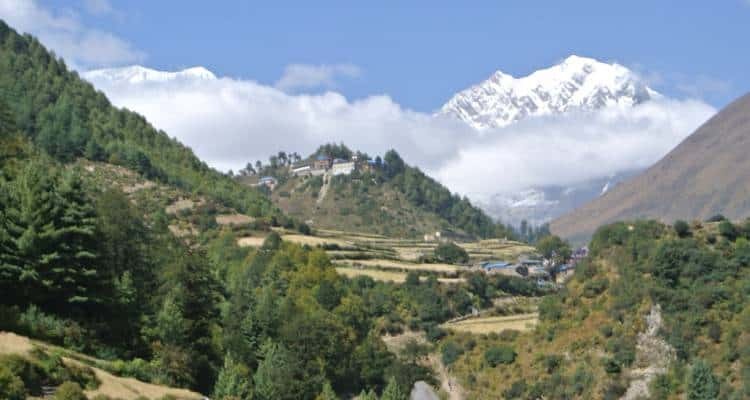 The highest elevation of the Manaslu Trek will be Larkey Pass which is situated at 5135 meters above the sea level, that offers impressive view of the region. 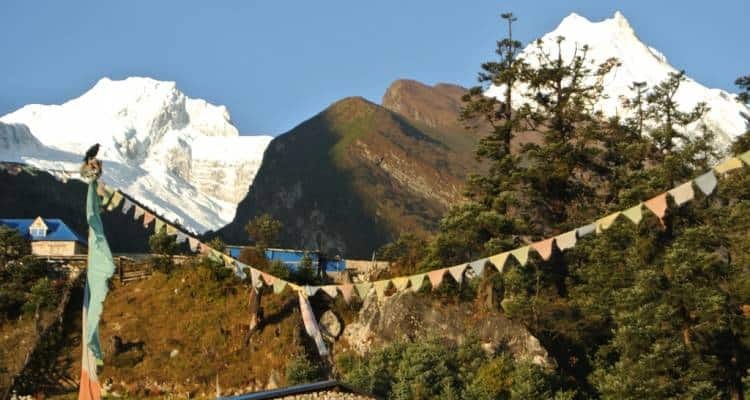 To trek in Manaslu region, has unique environment and exceptionally rich bio diversity which have made this region as the finest trek destination of Nepal for many years. 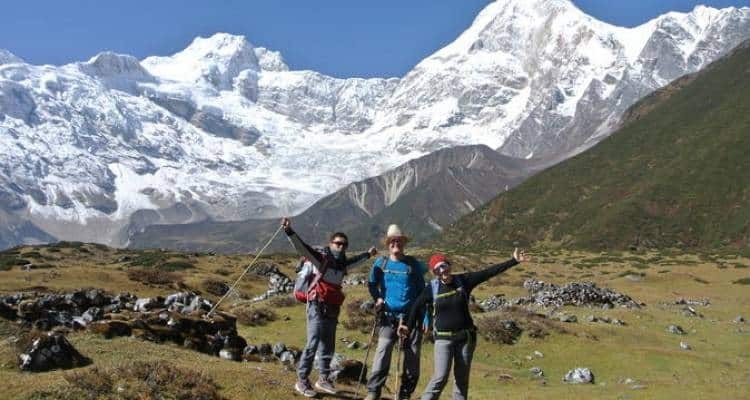 The region consists of varieties of cultural diversities, natural scenery of the majestic Himalayan ranges, high altitude romantic glacier lakes and fascinating flora and fauna, all these natural and cultural features of this region have made it one of the most popular trek destination of Nepal and is restricted area requiring special trek permit to get entry into the Manaslu region for foreign trekkers. An experienced Guide (trained by Ministry of Tourism Nepal), required number of porters, their food, accommodation, salary, insurance, equipments. Accommodation at guest houses with full board meal during the trek. A ny meals in Kathmandu other than breakfast. Your arrival in Kathmandu. Pick up and transfer to airport. Overnight at hotel, inclusive of breakfast. Trekking preparation day. Overnight at hotel, inclusive of breakfast. After breakfast about 5-6 hours scenic drive to Arughat Bazaar (550m) by private jeep. Overnight at guesthouse, inclusive of breakfast, lunch and dinner. Day 4 Trek to Labubesi (884m). Our first day trek starts from Arughat to Labubesi via Soti Khola by following Budhigandaki river. It is about 6 hours easy walking. This day could be hot / warm due to low elevation. Overnight at guesthouse, inclusive of breakfast, lunch and dinner. Trek to Tatopani (990m) via Machha Khola (930m) The trek starts by following the Buddhigandaki river (old river) and trail gradually goes up with the river gorges. It is a 5-6 hours easy walking. Overnight at guesthouse, inclusive of breakfast, lunch and dinner. Day 6Trek to Salleri (1353m). Today we walk through some hamlets and scattered houses through Gurung villages (Gurung is one of an ethnic group among the many ethnic groups of Nepal). When we approach to the village of Philim, we will see the good view of Sringri himal. It is a 6-7 hours walking. Overnight at guesthouse, inclusive of breakfast, lunch and dinner. After an easy climbing we will reach at a chautara from where we can see good views of Shringi Himal to the north. On the way ahead; we will cross suspension bridges and walk through pine forest. It is a 6 hours walking. Overnight at guesthouse, inclusive of breakfast, lunch and dinner. When we trek ahead westwards, the same of local houses seem of dry-stone structure and artitecture of houses are influence of Tibet. We will see many Mani walls, chorten, buckwheat and barley fields. It is a 6-7 hours walking. Overnight at Guest House, inclusive of breakfast, lunch and dinner. Today we will leave Namrung by crossing a small river known as Therang Khola. As we just walk for a while, we will see a waterfall. As we just arrive at a place called Lho (3180m); we will spend our sometime by enjoy the view of Mt. Manaslu and its surroundings. It is a 6 hours walking. Overnight at guesthouse, inclusive of breakfast, lunch and dinner. Explore the village and gompas or visit Birendra Kund for reflections of Mt. Manaslu and its northern icefall. Overnight at guesthouse, inclusive of breakfast, lunch and dinner. Today we walk through the grassy Khakas (yak pasture land), which is parallel to the Budhi Gandaki river. After about an hour walking, we will reach summer herding area of Kermo Kharaka from wwhere we can see an excellent view of Mt. Manaslu. It is a 3-4 hours walking. Overnight at guesthouse, inclusive of breakfast, lunch and dinner. Day 12Trek to Larkey Phedi (Dharmasala)- 4460m. The trail decends to a river by crossing a bridge over the Gyala Khola. Today we will see a view of Larkye Peak and North face of Mt. Manaslu. It is a 3-4 hours walking. Overnight at guesthouse, inclusive of breakfast, lunch and dinner. Trek to Bimthang (3590m) via Larkye Pass (5135m) 8-10 hrs walking. Today is the longest and toughest day of the whole trek and also the day to see the magnificent views of the Himalayas including Mt. Himlung,Cheo Himals, Gyagi Kang and Annapurna III. It is about an 8 hours walking. Overnight at guesthouse, inclusive of breakfast, lunch and dinner. This year we made our 4th time visit in Nepal with Nepal Hiking and their super professional team! This time we had been to Manaslu Circuit and Tsum Valley. It was really excellent adventure with stunning views, long treks, white mountains and we met people from all over the world. Firstly, in Kathmandu we stayed in super new hotel Kathmandu Suite Home with big roof top terrace, hot shower, clean rooms and excellent breakfast. Then we were dropped off by jeep to Soti Khola from were we started our trek. We spent 16 days in the mountains. Every day it was different scenery. First week till Chhekampar it was very hot and humid in the beginning, then only hot. Then, with altitude, it became colder but never it was extremely cold. Our guide Mahindra did the best for us. We were always served hot tea and all meals earlier than other guests in the guesthouses; he used to run ahead early morning to make room reservation for us. Nature was perfect there. It was nice to make a small side trip to Tsum valley – this helped us with acclimatization. We made another side trips to Pung Guing Gompa, the Tibetan Border near Samdo and monastery in Chhekampar. Food in the lodges was tasty and we had no problems when asked something another than Dal Bhat. Till Dharmasala it was possibility to charge cameras and phones, but there were no phone connection for international mobile phones. Only in Deng we received unlimited WiFi connection in the price of US$ 3 and we could speak with our children. Hot boiled water usually for additional payment; shower as well. We took shower till Dharmasala. And Dharmasala is not so bad as described in internet. It has nice camp area with two small hotels and warm tents. Views are very nice there. We drank not-purified water all the time directly from pipe lines, it was tasty and we had no problems. We spent US$ 200 for tea, shower and hot water. But we do not drink any alcohol. It was excellent adventure for us which gave us so many pleasure! Thanks to all team of Nepal Hiking! We are thinking about our 5th trip and as usual with Mr. Tilak and his team!